The Model CRF-48‐P12‐C6 shown below is typical and representative of the CTL48 Models. 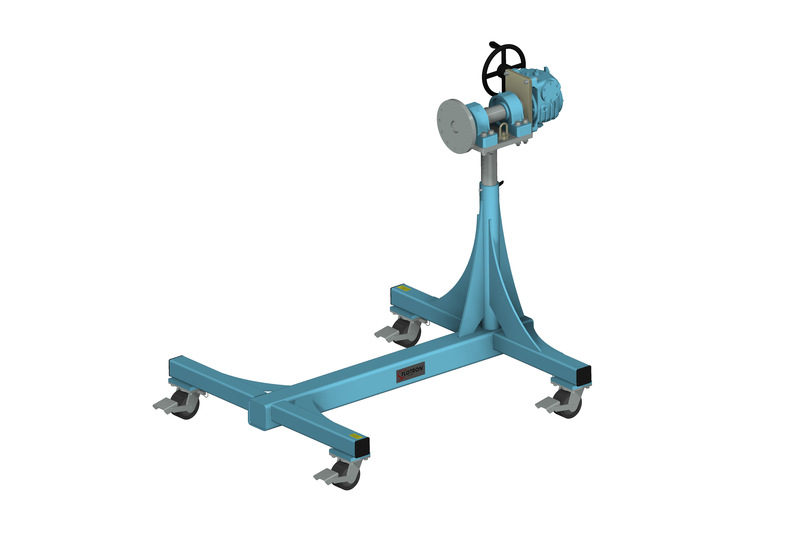 For more information on specifying a cantilevered rotation fixture, see the CANTILEVERED ROTATION FIXTURE page and CANTILEVERED ROTATION FIXTURE CREATING A MODEL NUMBER pdf. Rated Load Capacity: 1,000 lbs. with CG located at 30” from interface plate and 2” from primary axis rotation centerline. Payload Interface: Ø12” Circular Interface Plate with 12X through holes for 1/2” fasteners on Ø10” bolt circle. Gearbox: 60:1ratio with 12” diameter crank. Optional finishes for clean room compatibility. Optional Ground Lug and Drag Chain for use in electrostatically protected areas (EPA’s). For more about Cantilevered Rotation Fixture Options click here. 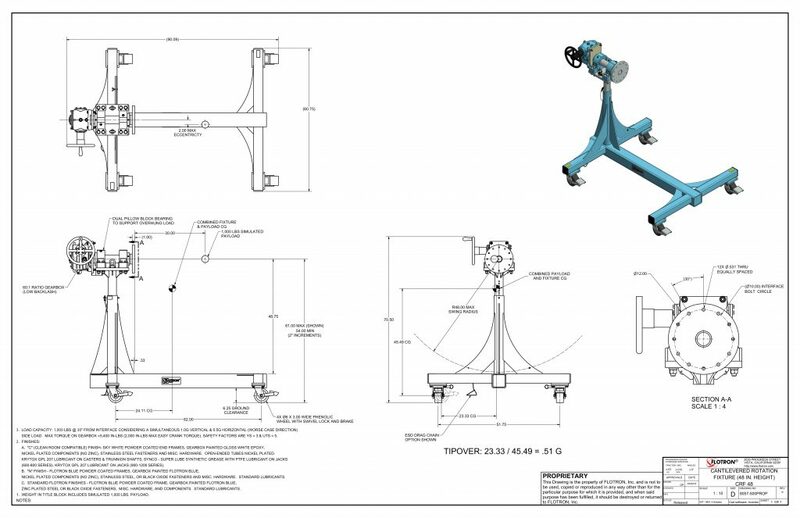 For Cantilevered Rotation Fixtures – Creating a Model Number pdf click here.